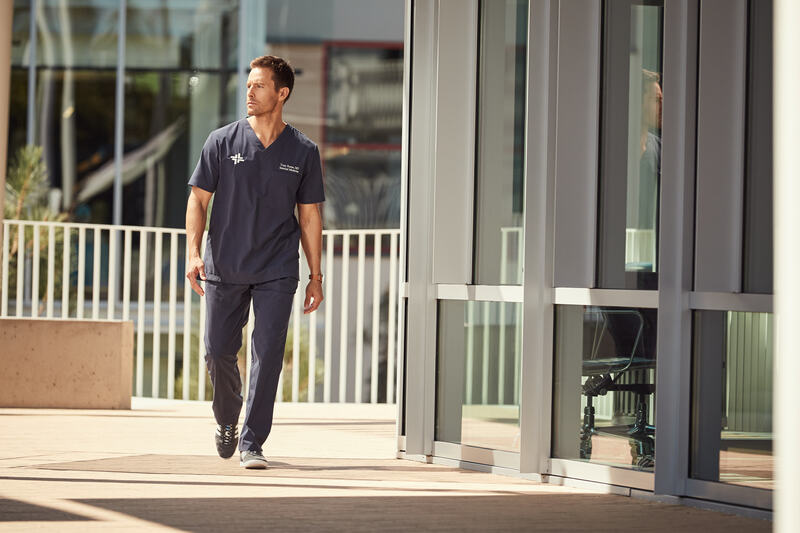 In our opinion, underscrub tees might be the single most underrated clothing item of the season – for medical professionals and non-medical people alike. It’s called an underscrub because, as you probably guessed, many medical professionals do choose to wear them as an added layer of warmth or coverage under their scrub tops. But don’t let the name pigeonhole this dynamic garment – read on for our top 5 ways to wear your underscrub! Under your scrubs (duh) as an added layer of warmth to protect you from the hospital chill or wintry weather. The flattering fit and ergonomic seam lines make this tee a great winter basic. Add a loose patterned scarf and wear your underscrub tee as a fitted basic, or even add a statement necklace. Because these tees are made of performance fabric, they are perfect for wearing during your morning jog to protect you from the chill. Combine with the scrub jacket found here – another item that is marketed for medical professionals, but is actually perfect for anyone looking for a polished fleece-type jacket made of technological performance fabric. 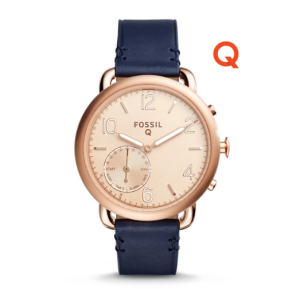 Wear for any on-the-go activity you can think of, from camping and traveling, to running errands all day. This particular author enjoys wearing her underscrub tee just about every single time she gets on an airplane because of the comfort and quality style. The Core One Underscrub Tee from Medelita comes in three colors: black, light heather grey, and heather blue. There is a short sleeved version for men and a long sleeved version for women. This entry was posted in Medical Professionals, Modern Fashion, Trends In Medical Apparel and tagged Scrubs, Trends In Medical Apparel, Underscrubs on December 5, 2017 by Ariel Jacoby. With our country’s healthcare system becoming more and more impersonal with each passing day, it’s easy to understand why a patient who has a positive experience with their doctor would want to show their gratitude with a thank you gift. But even with the best of intentions, accepting gifts from patients is tricky territory for most docs. An extravagant gift from a patient is likely to make doctor uncomfortable, for a number of reasons. But if they decline to accept a gift, the physician also risks offending their patient. Either way, this is a difficult situation to maneuver and risks putting the patient-physician relationship in jeopardy. The best way to say thank you to your physician? Just say thank you! And one of the most sincere ways to express this sentiment is through a handwritten card. Now you can even have someone write and deliver the card for you (free of charge) with your own personal message – the genius of this service is that they also include a discount code for scrubs, lab coats, and stethoscope (all things your physician likely uses every day) so that you can still feel like you’re giving a gift, but also be confident you’re within the boundaries of what is appropriate. Those of us who became physicians know that we did it not for the praise or the accolades, not even the handsome salary. And let’s be real: if money were our primary objective, there are far easier, faster, and cheaper ways to accomplish that goal than to become a doctor. The truth is that most doctors chose this path because we want to use our skills to help other people. We don’t ask for nor expect a thank you gift – our gift is the privilege of healing patients, families, and communities through our work. A sincere and thoughtful “thank you” is all we would ever hope for. This entry was posted in Medical Professionals and tagged Best Fitting Scrubs, Medical Apparel, Stethoscopes on October 30, 2017 by Ariel Jacoby. Clinicians of all levels and specialties need their tools of the trade to be as highly functional as possible – lab coats and scrubs included. And in those high pressure situations where you must be as streamlined as possible, the ergonomic fit of a lab coat can really make a difference in your level of efficacy while performing a task. Renowned for their tailored and ergonomically designed lab coats, Medelita has taken the functionality of their high performance lab coats one step further with their two latest styles: the Rosalyn slim fit lab coat for women and the Bernard slim fit lab coat for men. The main feature that these coats share in common is their foldable sleeves and back pleat for full range of movement in your shoulders. The Bernard has elevated this feature even further by adding custom buttons to the foldable slits in the sleeves. We love this new feature of the lab coats. What functional features would you add if you could design a lab coat of your own? This entry was posted in Lab Coats, Medical Professionals, Men's Lab Coats, Trends In Medical Apparel, Women's Lab Coats and tagged Design Details, Function, lab coats, Slim Fit Lab Coats on August 29, 2017 by Ariel Jacoby. Have you ever noticed how most scrubs available look like prison jumpsuits but in shades of blue instead of orange? It’s time to set aside your drab, unisex scrubs in favor of a uniform that actually fits you. These modern fit scrubs for men are designed for men – more specifically, they are designed to fit like men’s clothing instead of cheap pajamas. 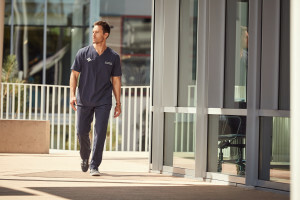 The scrubs pants are fitted in a way that resembles a pair of chinos or khakis, and there is even a fly zipper in addition to the dual waistband-drawstring waist. In supremely soft fabric, these are the best scrubs available for men. The modern fit mens scrub top is designed to fit like a nice men’s tee shirt. The v-neck is professional an modest, without showing off too much skin to be inappropriate. This entry was posted in Medical Professionals, Medical Scrubs and tagged men's scrubs on November 7, 2016 by Ariel Jacoby. If you’re a female leader in medicine (or are heading down that path) there will be times when you need to step up your style to convey the appearance of the powerful, take-charge woman that you are! So the next time you have an interview, presentation, important meeting or even just are having a professional headshot taken, follow these basic guidelines so that you can present yourself as a polished, skilled leader. You can’t go wrong with a business professional skirt/pants suit, as long as it fits you properly. This is an opportunity to let your personal style show a bit more, and it can make a powerful statement if you go outside the box of traditional colors (think black, navy, grey) to opt for a bolder, more unique color like a burnt ochre, or deep plum – you can even play around with unexpected patterns like plaid or stripes, as long as the color palette is muted and still professional. If you don’t have this in your wardrobe already, bite the bullet and get one. This is not only perfect for professional settings, but it’s an extremely versatile piece that you will find dozens of opportunities to wear throughout the year. My recommendation for purchasing a button down shirt is to not necessarily go for the most expensive or the cheapest option. You should shop for a middle-of-the-range shirt that isn’t absurdly priced, but is still made with quality materials, and take it to a professional tailor to have it fitted perfectly to your body. This simple step will make it look like the most expensive shirt you own! You should have at least one pair of nice dress pumps in your closet, but I would recommend against any heels higher than 3 inches. For one, they aren’t as comfortable, no matter how much you might relate to Sarah Jessica Parker’s affinity for sky-high heels. Secondly, super high heels can be distracting and don’t look as professional as a more modest heel. You worked hard for your credentials, so show them off by having them embroidered on your lab coat. And while you’re at it, get a lab coat that actually fits you – not the cheap, semi-see-through, unisex lab coats you might be used to. 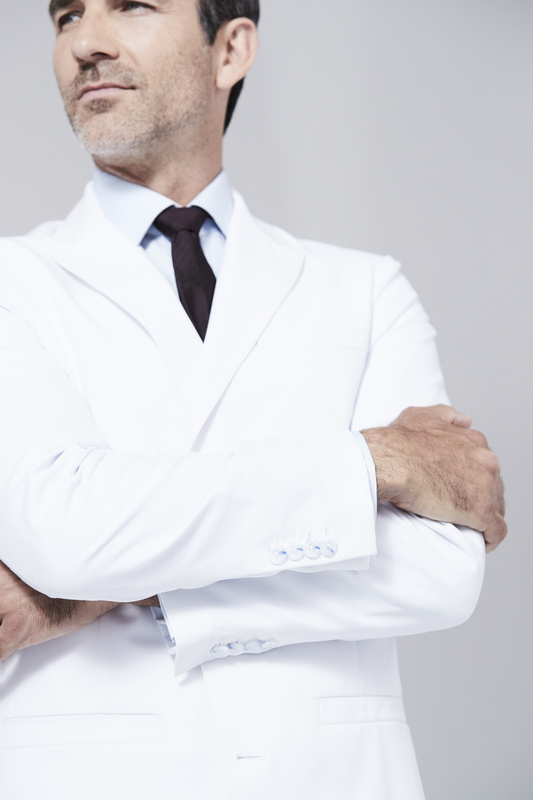 Even if you don’t think you’ll wear it in a clinical setting, you should have at least one professional tailored lab coat that will make you look polished. Medelita offers quite a range of different tailored lab coats for female professionals, and they offer in-house embroidery services so that you can skip the step of taking it to a separate embroidery studio to have your name and title added. This entry was posted in Medical Professionals, Modern Fashion, Trends In Medical Apparel, Women's Lab Coats and tagged Lab Coats For Women, Professional Appearance, Tips and Advice on October 27, 2016 by Ariel Jacoby. Physician burnout rates are on the rise, and integrated health systems across the country are trying to find ways to keep their physicians, and therefore their patients, happy. One of the easiest ways a hospital can keep their staff more satisfied with their job is by offering an on-the-job perk such as a new uniform program. Investing in the professional appearance of your physicians tells them that you have confidence in their skills. A sharp and polished appearance also gives patients more trust in their physicians. This ultimately does translate to more satisfied patients, happier doctors, and better health outcomes. The two main considerations for a new uniform program for your brand or hospital are appearance and function. This consideration is especially important in a highly demanding role of a physician. Lab coats and scrubs must be able to stand up to wear and tear, and they must satisfy the demands of the job. This includes being made with highly functional performance fabrics, having plenty of pockets for storage, and a design that doesn’t limit movement. This entry was posted in Lab Coats, Medical Professionals, Medical Scrubs and tagged lab coats, Professional Appearance, Scrubs on October 19, 2016 by Ariel Jacoby. One of the biggest complaints I hear about scrubs is the lack of coverage. When you reach for an instrument, the sleeve gapes open, so you need to wear an undershirt. When you bend down, they reveal your underwear, which is unacceptable for anyone who isn’t a plumber. When you lean over, the front of the tops open wide, again giving you need for some coverage à la undershirts. Here’s a challenge for you: get some scrubs that don’t do that. Get some scrubs that fit you well. How can you tell if your scrubs will give you the function you need? Do some yoga in your scrubs. Even if you’re not a yogi yourself, test out some simple yoga poses while wearing your scrubs to see how they fit when you have contorted your body into wacky positions. So what are you waiting for? Put on your new set of scrubs and try out these four poses so you can see if they stand up to the test of fitting you while you work. This entry was posted in Medical Professionals, Medical Scrubs, Trends In Medical Apparel and tagged Fitted Scrubs, Scrubs on September 27, 2016 by Ariel Jacoby. Dress for the job that you want, not for the job that you have. For most professionals this is sound advice. In the business world, how can you expect to advance your career if you don’t look the part? There’s no second chance for a first impression, and presenting yourself professionally is a huge visual cue for whether or not people will take you seriously in the workplace. But for doctors, it’s a little different because you’ve already put in the dirty work to get the job that you want! Pat yourself on the back, because the path to becoming a doctor is certainly not an easy one. Given the amount of time, energy, and hours of sleep you sacrificed to your medical career, doesn’t it make sense to dress like someone who takes their job seriously? By this I mean, why take the risk of your patients or colleagues not taking you as seriously because you’re wearing sloppy, wrinkled scrubs and a cheap-fitting lab coat? It would be nice if we lived in a world where people didn’t judge books by their cover. But we don’t, and they do. Whether subconsciously or not, people tend to make assumptions based on your visual appearance. For this reason, it’s worth it to invest a little more in your professional appearance by upgrading to the high quality, tailored medical uniforms that are available today. This entry was posted in Lab Coats, Medical Professionals, Medical Scrubs, Trends In Medical Apparel and tagged Professional Appearance on September 21, 2016 by Ariel Jacoby. Nurses, Docs, PAs: How Do You Dress In Rainy Weather? The hottest summer on record is drawing to a close, and you can really see it in the weather. In southern California, for example, where I live, we are seeing the end of 90-degree temperatures (thank God) and a lovely autumn wind has picked up. How does your work style change once the rainy season begins? 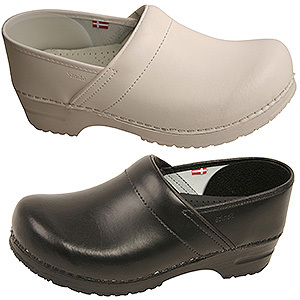 There isn’t much room for variety, to be honest – maybe carry your orthopedic working clogs in your bag while wearing rain boots during the commute, and top it off with a windbreaker or hoodie coat. Maybe your style doesn’t change at all; maybe you get festive with some seasonal accessories! Let us know in the comments below. This entry was posted in Medical Professionals, Modern Fashion, Trends In Medical Apparel and tagged Medical Apparel, Seasonal Dressing, Uniforms on September 12, 2016 by Ariel Jacoby.